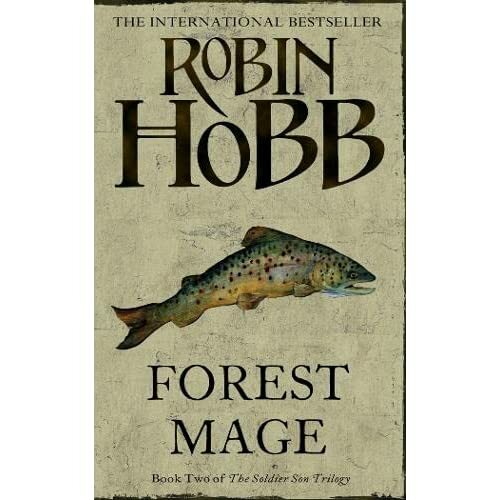 It looks like the upcoming massmarket paperback version of Forest Mage will have a completely new painting by John Howe in its cover. The original image that was published previously followed the design of the Shaman’s Crossign massmarket cover: it had the same painting as the hardback and the first paperback but with parts of the background cut out. That cover seems to have disappeared however—you can see the new different cover here. This version will be published in July in the UK. SerpentBlanc wrote in to say that the French translation of Cloven Hooves is now available in paperback. It is called Le dieu dans l’ombre. thePlenty.net is 4 years old! My Internet connection was down yesterday so I’m a bit late with this. On behalf of all your readers and fans: we wish you a very happy birthday and many wonderful years and stories to come! Robin Hobb was born on March 5th, 1952. SerpentBlanc alerted us that the 2nd part of the splitted French translation of Ship of Destiny is now in stores under the title Ombres et Flammes. It is the 8th installment of Les aventuriers de la Mer. You should leave off sniffing the carcass of your old life, my brother. You may enjoy unending pain. I do not. There is no shame in walking away from bones, Changer. Nor is there any special wisdom in injuring oneself over and over. What is your loyalty to that pain? To abandon it will not lessen you.